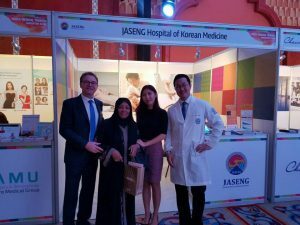 Jaseng Hospital of Korean Medicine attended the 2016 UAE Korean Medical Tourism Convention. The event was held for 2 days at Intercontinental hotel, Abu Dhabi, the capital of United Arab Emirates. 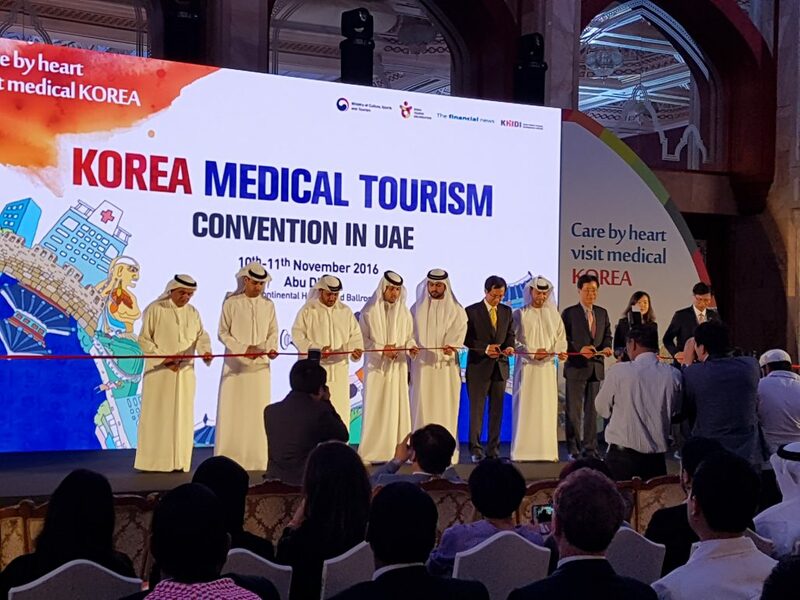 Medical agencies , travel companies, government agencies and more than 17 Korean hospitals and clinics attended the convention to promote their products to Middle Eastern market. 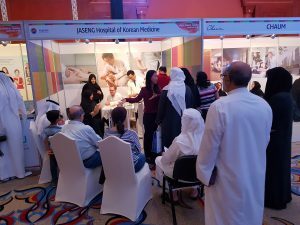 It was a great opportunity for Jaseng to introduce our non-surgical/non-invasive treatment for spine and joint disorders to the local customers. Dr.Royer and Dr.Joo had more than 200 cases of consultation and acupuncture treatment at the event even without having any lunch or dinner break. We have seen a high demand on Jaseng treatment there and plan to expand our business to the Middle East starting from next year. Opening ceremony of UAE KOREA MEDICAL TOURISM 2016 at Intercontinental Abu Dhabi. 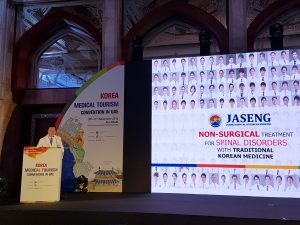 Dr.Joo’s presentation about Jaseng’s Non-surgical treatment for Spinal disorders with Traditional Korean medicine. Dr.Royer and local patients during medical consultation. Dr.Joo explains Jaseng’s treatment method to the local patients. Patients on a long queue to have consultation and treatment session from Jaseng medical staffs. Fantastic4! Local patient Mona already visited Jaseng twice this year and came to the event to say hello to us.